Win a children's party for 10 at the UK’s favourite family-friendly rave. Win a party for 10 at the UK’s favourite family-friendly rave. Planning a birthday party for your little one and their tribe of toddler friends can be exhausting. We’ve taken the stress away with the chance to win a birthday package to one of the UK’s best baby-friendly raves. Oh, and the grownups will be in for a treat too. 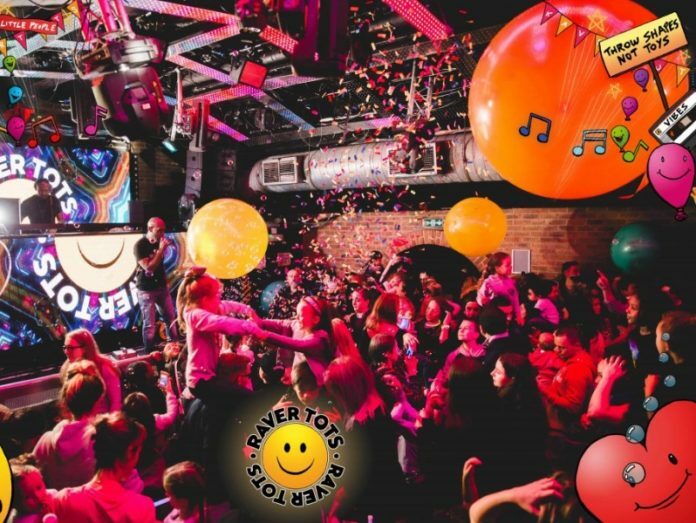 A new take on children’s entertainment for all the family to enjoy, Raver Tots, offers an afternoon of fun for all the family. Providing live music from some of the UK’s top DJs, including the legendary DJ Slipmatt from SL2 Slipmatt playing your favourite House and Old Skool Rave music” to remind parents of their partying heyday, alongside interactive games and performances to keep the little ones entertained. Dust off your dancing shoes, grab the birthday babe and get down to one of these family-friendly raves. Fill out the form below to enter our competition for a chance to win a birthday package for up to 10 people (worth £88) at a Raver Tots event of your choice. Prize must be claimed within four weeks of the winner being announced and can be redeemed at any regular Raver Tots event. For a full list of events and venues visit www.ravertots.co.uk. Ages 12+ require adult tickets. Groups must arrive together. Max 3 adults to 1 child. No admission for adults without a child. Children must be accompanied by an adult. Parents/guardians responsible for children at all times.